Old Walter 4 wheel drive truck Photo Picture Classic Cars for sale & Classifieds - Buy Sell Classic Car & Classic Truck Classifieds. now this is cool....can't say i've ever heard of a walter before....who made them?...was walter an actual company??? What kind of power train do these trucks have?? hey broski, you don't know much about hillbillys! A hillbilly horrow movie ain't about trucks at all! It's about cars, son; real fast cars, cars with a "hole lotta" trunk! One is Loaded with a hundred gallons of sprang water squeezen. You and your "holler darlin" just ah crusin down the dirt road hills, trusted with ya paw's "drankins" and meet up with your "WIFE!" --- THAT'S A HILLBILLY NIGHTMARE! these trucks are workhorses! !we have 4 of them that we snowplow with.v-plows and wings on all and they take all the abuse and keep on pushin! !looking at the pic its not in bad shape. 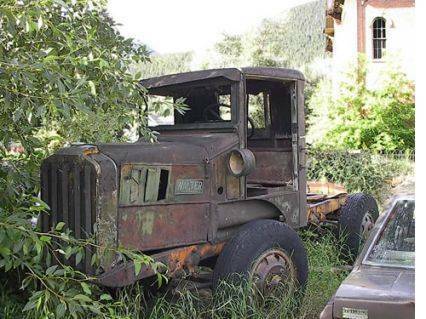 Just think of the car hauler or wrecker this would make,"W O W"! It should be in a museum or where lots of people can see it. I want it really badly! Thing looks like something out of a hillbilly horror movie.. Awesome!